All reviews are the subjective opinions of third parties and not of the website or its owners. Reviews are placed by members of the public that have held a function or event at Crowne Plaza Plymouth. 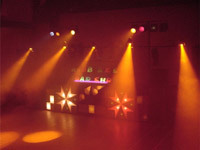 At needadisco.com we only accept reviews from confirmed clients that have booked a DJ to play at Crowne Plaza Plymouth via our website, with the arrangements independently verified by both the DJ and the client before the event takes place - no "fake reviews" here! 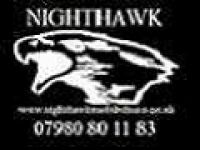 Helpful information for DJs and entertainers visiting Crowne Plaza Plymouth provided by trusted members of needadisco.com. PARKING: Small car park not for guests only for suppliers can park right out side entrance then move back to allow emergency exit. ACCESS: Flat and level apart from a slight lip on the front entrance trolley will go over but take care, big double doors to entrance hall and ballroom total walk to stage area no more than 20mt I wish they where all this easy! ACCESS: Offloading out of level ground floor, along corridor through a set of double doors to the stairwell. Up a flight of stairs to function room double doors, function set up area at the far end of the function suite. ADDITIONAL COMMENTS: "Awful access to first floor commonwealth Suite lacking in set up space, once in, set up and running, it is a very nice place to have a small intimate party." Information is based on enquiries and bookings handled via needadisco.com so whilst it's a great insight, if you have any questions or concerns about holding a function or event at Crowne Plaza Plymouth please contact the venue. Crowne Plaza Plymouth has previously been hired as a venue for private parties such as birthday celebrations, anniversaries, engagements etc. Crowne Plaza Plymouth is in our Hotels category. The map below shows other local venues in the same category.